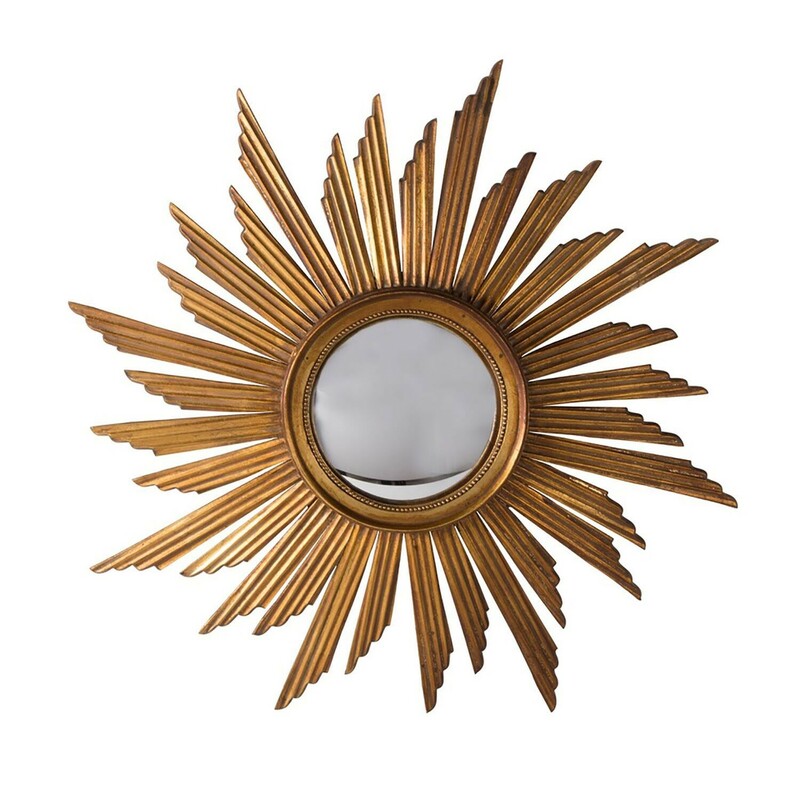 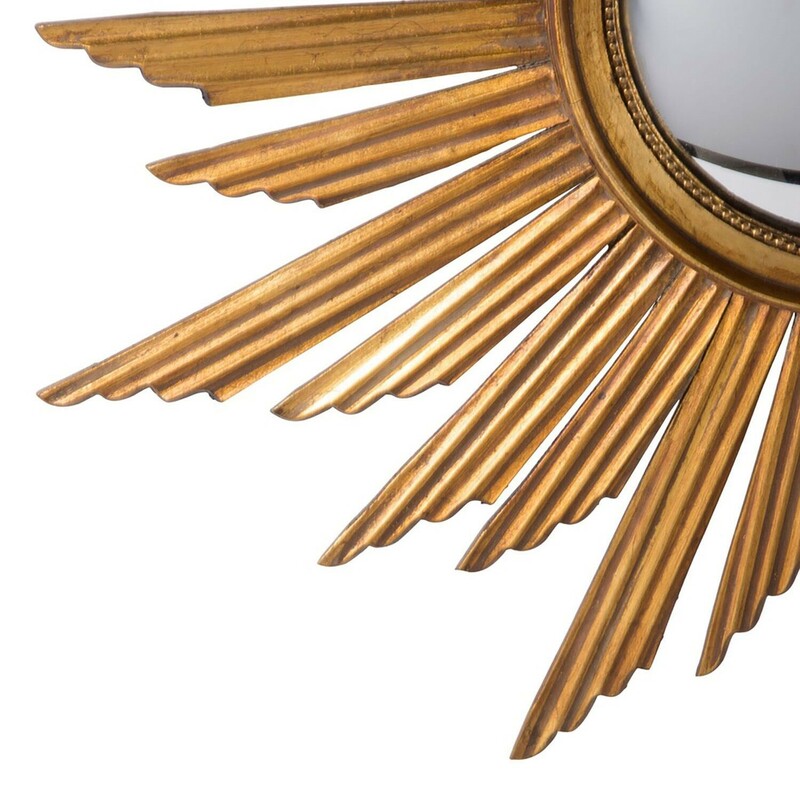 This golden colored carved wooden sunburst mirror has reeded decorative detail. 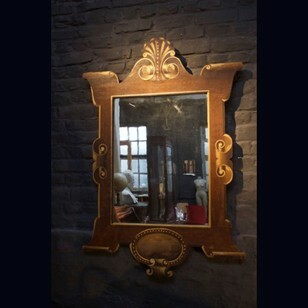 This piece features a convex mirror plate. 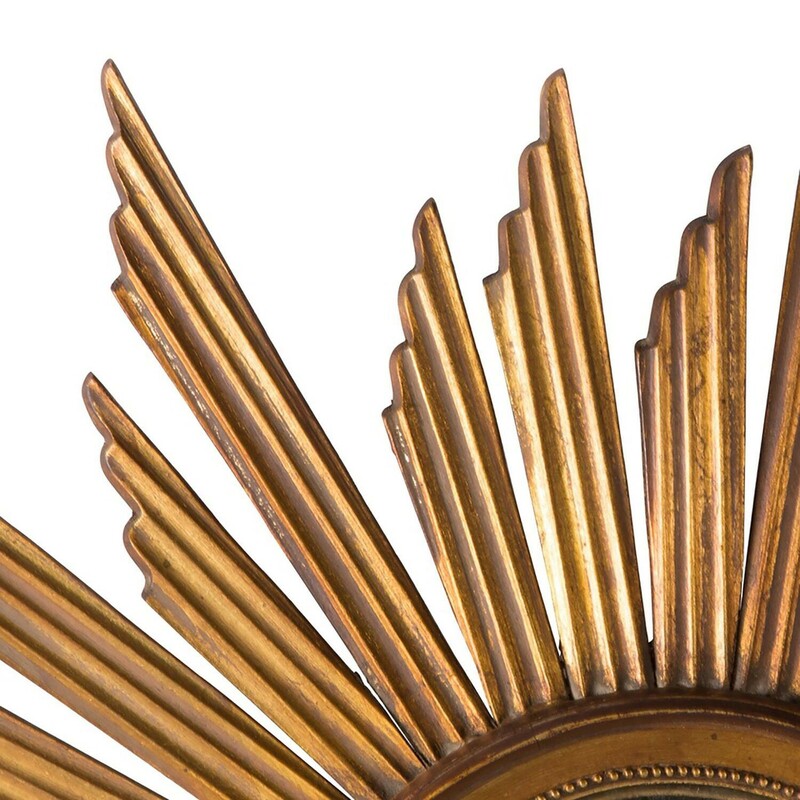 France 1920s.